CHELSEA, Manhattan (WABC) -- Several subway lines were delayed Saturday night after a man was hit by a train in Chelsea. 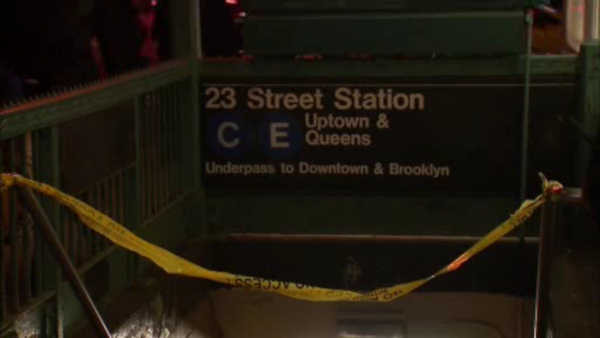 MTA officials say the man was on the tracks at the 23rd Street station when he was hit by a northbound C train. The man was taken to Bellevue Hospital. His condition is unknown.